Many people look forward to visiting Hoover Dam or some other water dam. I’ve toured several dams before, and let me tell you — there’s nothing like taking a walk across a dam! You feel so tiny when you’re walking across a huge slab of concrete that stands 200, 300, or even 700 feet tall and holds back billions of gallons of water from flooding towns downstream. Water dams are designed for flood control purposes, irrigation objectives, and to produce electricity. While I’ve been to dams in Florida, Alabama, and Tennessee… I still hope to someday visit Hoover Dam in Nevada, a landmark my parents toured in 1977 during their cross-country honeymoon road trip. I’ve seen water dams big and small in my own travels. One of my favorites is Norris Dam near Rocky Top, Tennessee. It’s located in the rugged, picturesque Appalachian Mountains of Eastern Tennessee. 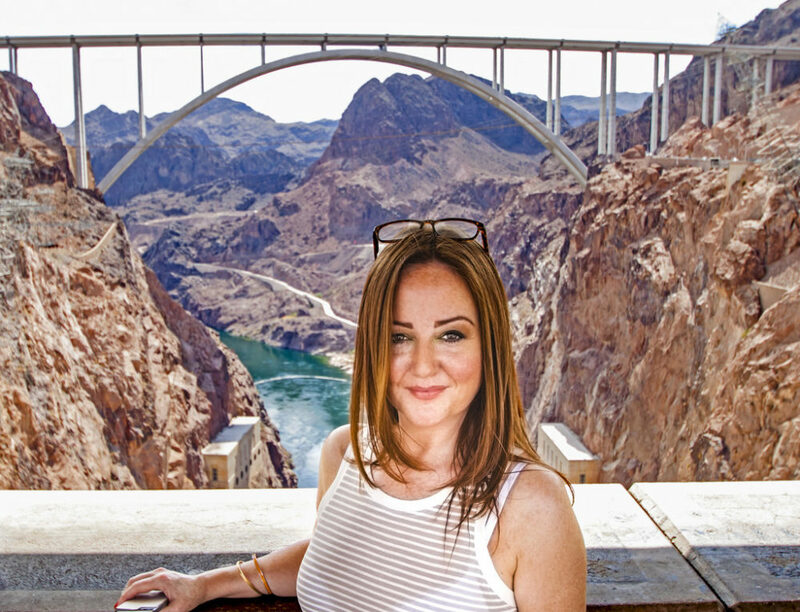 I think everybody who visits dams has their favorite — but there’s no denying that one of the most famous dams in the United States is Hoover Dam. Built in the 1930s to produce electricity for Arizona, Nevada, and California, it was the world’s tallest dam when it was dedicated in 1935. Today, it’s the second-tallest dam in the United States behind 770-foot-tall Oroville Dam in California. It stands 726.4 feet tall and spreads as wide as 1,244 feet across the Black Canyon. 21,000 construction workers spent 5 years building Hoover Dam, from 1931 through 1936. Naming the massive structure after 31st United States President Herbert Hoover was an unpopular decision with many — because his policies were associated with sparking the Great Depression. When the Colorado River was dammed, a massive reservoir was created behind the Hoover Dam that’s known as Lake Mead. Today it’s the nation’s largest reservoir and one of the most popular recreation spots in the country. Hoover Dam holds back a massive amount of water — so much so that it deformed the Earth’s crust and caused hundreds of small earthquakes during and after the construction! Since I like big dams (and I cannot lie), I also suggest checking out Grand Coulee Dam — about 90 miles northwest of Spokane, Washington. It’s billed as “The Nation’s Powerhouse,” generating hydroelectric power for much of the Pacific Northwest and serving as the largest electric power-producing facility in the United States. There are hundreds of dams around the United States you can visit. Some states now even have water dam locaters — such as those for Ohio and Massachusetts. Look up your state to see if there’s a list of dams located near you. So, what do you need to know before visiting Hoover Dam or any other water dam? Get out of your car! I’ve driven across dams, which is fun. But you know what’s even better? Walking along the top of dams, looking down their faces from the visitor walkways, and checking out the other cool things nearby — like those monster transmission line pylons that carry electricity from the dams to nearby (and faraway) communities. Bring a good camera. Speaking of getting out of your car… If you’re a shutterbug like I am, be sure to pack your best camera equipment. A water dam is a terrific place to shoot some amazing photos. Sure, a phone camera works well enough, but I love taking my Canon camera and special lenses and setting up some pan shots and telephoto zooms. Watch your step. This may seem obvious, but so many folks are overwhelmed by the views when they visit a water dam that they don’t watch their footing near unprotected, un-gated areas. And, of course, every drop-off near a dam is pretty steep and deep. One wrong move near a slippery slope or unprotected edge could send you to your maker! So have fun, but be careful — and don’t risk your life for a dam selfie. Check out the visitor center. Many of the larger dams are located in state parks or are national monuments. These larger dams are usually equipped with a visitor center where you can find out more about more about the dam, its construction, how it works, and info about the surrounding area. Take the tour! If the option is available and you’ve got the time, then be sure to take a guided tour of the dams you visit. 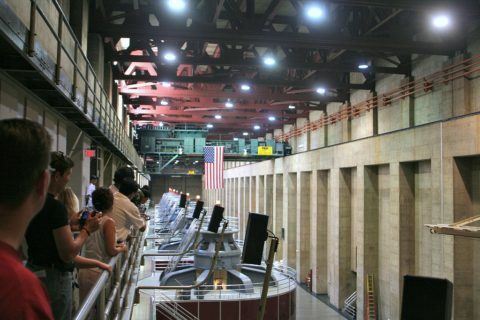 You’ll probably even get to see some really cool things on the dam tour, such as electricity-producing turbines, which most folks won’t usually get to see when touring dams on their own. Do’s and dont’s when you’re visiting Hoover Dam.